Isco could be on his way out of Real Madrid if manager Zinedine Zidane is still in the hot seat come the start of next season, according to reports. The 25-year-old is one of the best players amongst Real’s current crop of stars, and possesses an immense talent that has made him one of the most sought-after attacking midfielders in the world. However, despite Zidane himself admitting that he admires the playmaker, the Frenchman is also believed to be upset that Isco has not displayed all the skills he is capable of. With either of James Rodriguez and Isco to choose from, Zidane had decided to go for the latter, while the former got sent to Germany, at Bayern Munich. However, the decision has hardly paid off, and Isco is now a source of frustration more than anything else. As per journalist Josep Pedrerol, Zidane had asked Florentino Pérez to offload James since he preferred to have Isco in his first-team squad, but the Spaniard has been nothing but underwhelming. Pedrerol continued: “Zidane is a huge admirer of Isco’s style of play and what he can offer the team and for this reason opted to keep faith in the player deeming that he would be instrumental in the creative play of the side. 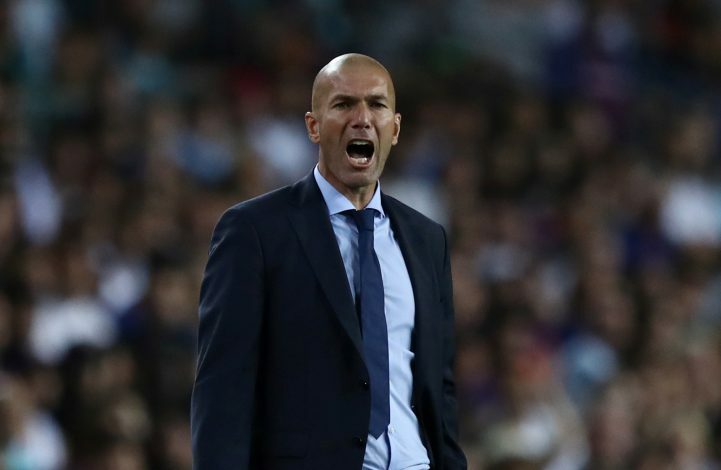 Zidane has been put under immense pressure in recent weeks, with Los Blancos’ results being far from satisfactory. However, the Real Madrid board may just decide to stick with him and hope he can turn it around. If he does remain at the Bernabeu beyond the current season though, then it will surely be curtains for Isco, who is definitely not short of suitors around the world.